Sacha Goedegebure (who directed Big Buck Bunny) created this short film about a gnome with sleeping problems. Recently we submitted our short film Gnome to the Digicon6 competition. We'll still do some minor changes for our own release on Vimeo, youtube and festivals, but we'd like to share this version. Gnome was animated in Maya. 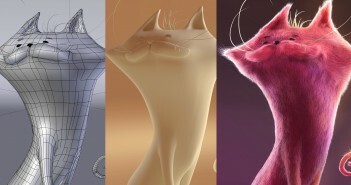 Blender was used for the lighting, rendering and compositing. If you enjoy it, make sure to click the heart. Find the rest of the entries here. That is so charming and funny! great film. It's great small story. Characters are lovely and full of... well, character ;) Especially the gnome. Environment and render are also top notch. One small thing: the grass on the very first shots need some more reaction, now it ends moving in one frame. Spectacular job, I really enjoyed it! Especially the ambiance (visual and sound) and lighting. Congratulations, Sacha and everyone involved! The quality of everything is really high, top notch work from my side. Thanks, Enrico! Good to hear this from you! For those interested, we used MDD for deformed mesh, and FBX for non-deformed mesh, to transfer the animation from maya to blender. I can't seem to watch this short on my Linux system. No playable sources found it says. The player requires flash, do you have that installed? I have no idea what could cause that. 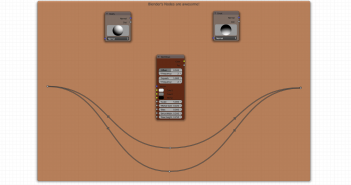 All I can say is that it plays fine here..
Next Article "Why I Love the Blender Node System"